Without even mentioning the rich history of the Five Percent Nation of Gods and Earths in Hip Hop music, it is clear many Hip Hop lyrics and songs were often a negotiation of faith and questioning in a Higher Power if not specifically a Christian God. 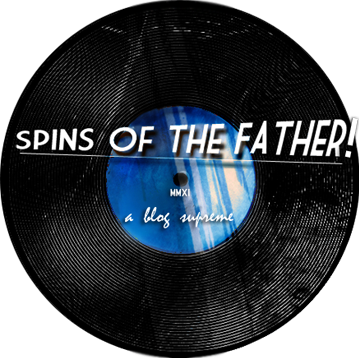 And like any practicing Christian or organized church, some of these artist’s lyrics are rife with contradiction or their efforts are seemingly eclipsed by the overwhelming secularity of Hip Hop themes in general. This dynamic has been at play in for the entirety of Nasir Jones’ career in particular. On his debut, Nasty Nas shockingly claimed “When I was 12 I went to Hell for snuffing Jesus” in the 1991 song “Live At the BBQ.” At the time, the line in question garnered him praise from for being bold and shocking but has been later interpreted metaphorically, that in actuality he was a lost adolescent. 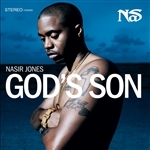 Other verses in Nas’ catalog aligned his lyrical output with Christ “Judges hangin’ ni**az, uncorrect bails, for direct sales / My intellect prevails from a hangin’ cross with nails.” In video, Nas depicted himself with a crown of thorns, hanging from a cross; his sixth album is titled, “God’s Son.” Interpretations, condemnations and hype will undoubtedly follow these high profile artists any time they refer, question or appropriate Christian themes of God. By the 1990s it seemed impossible for “authentic” (in other words, well crafted) Hip Hop to praise the name of Christ in a believable fashion. It seemed the Word of God would only be widespread via Hip Hop by secular artists complete with all of their contradictions. Interestingly a couple of the biggest rap records of the last 20 years expressed overt Christian themes in pop music, such as Kanye West’s “Jesus Walks” or Bone Thugs-n-Harmony’s “Tha Crossroads.” Even lesser known MCs such as Brooklyn Wu Tang affiliate Killah Priest examined Christian teachings in 1995 in "B.I.B.L.E," the Good Book functions almost as a subway map for salvation in the concrete jungle. However, most notably, originating out of Philadelphia, an affiliation of rappers, DJs and producers began The Cross Movement in the late 1990s. Their music paralleled the work of their incorporated, nonprofit ministries and significantly achieved a sound and consistency in both beats and rhymed that matched “street” (read “secular”) rappers. Some ten plus years later, with the ease of digital production of music, video and networking, the Christian Rap movement has secured its base and spread the Good News worldwide. Here, LeCrae’s “Church Clothes” is intriguing recent effort as his lyrics are in clear defiance to traditional trappings of Christian religion: church on a Sunday, collection plates, formal attire, claiming to be Chosen. And yet his message is an emphatic embrace of Christ as his savior and embrace of the huddled masses. Fundamentalists may be disappointed but Jesus' street disciples probably could care less.